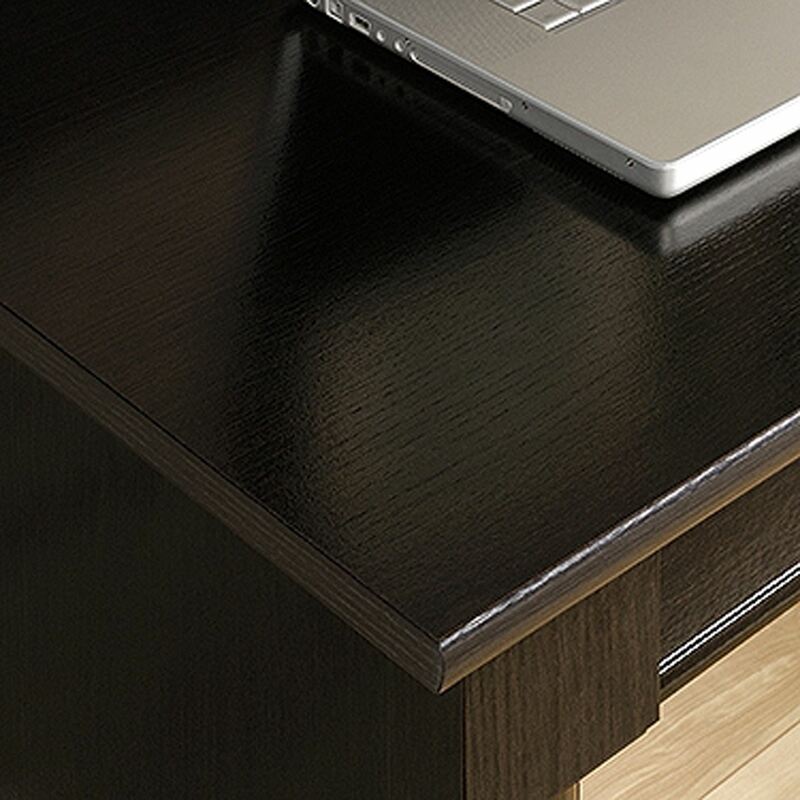 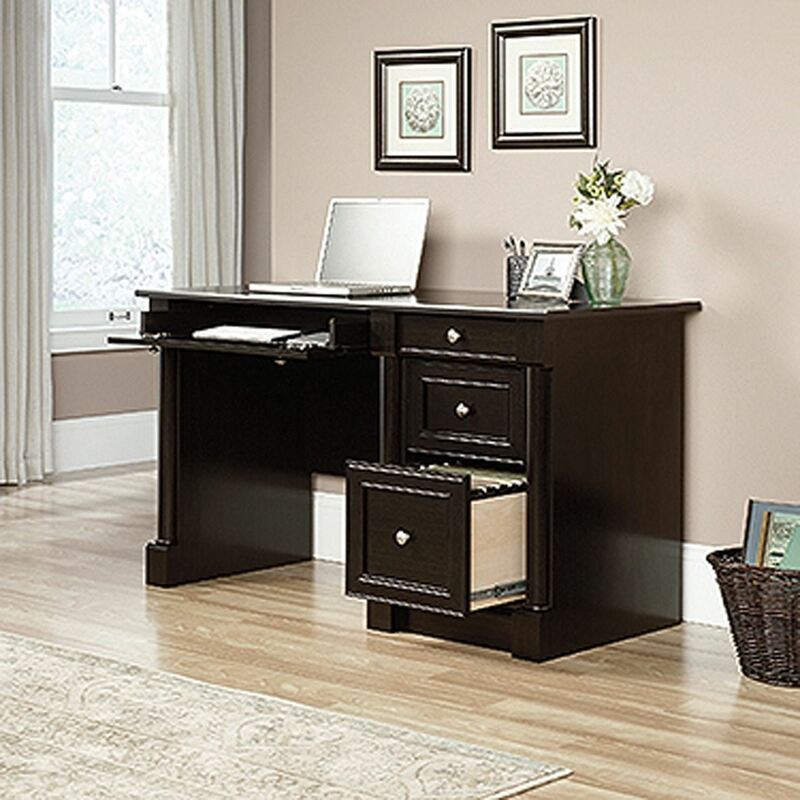 Avenue Eight Computer Desk Wind Oak By Sauder. 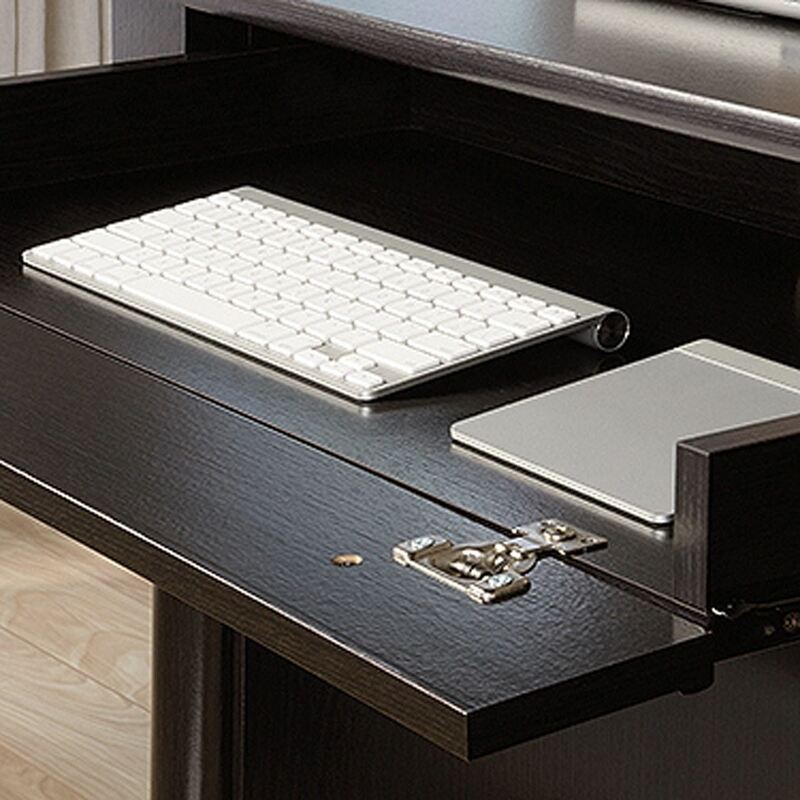 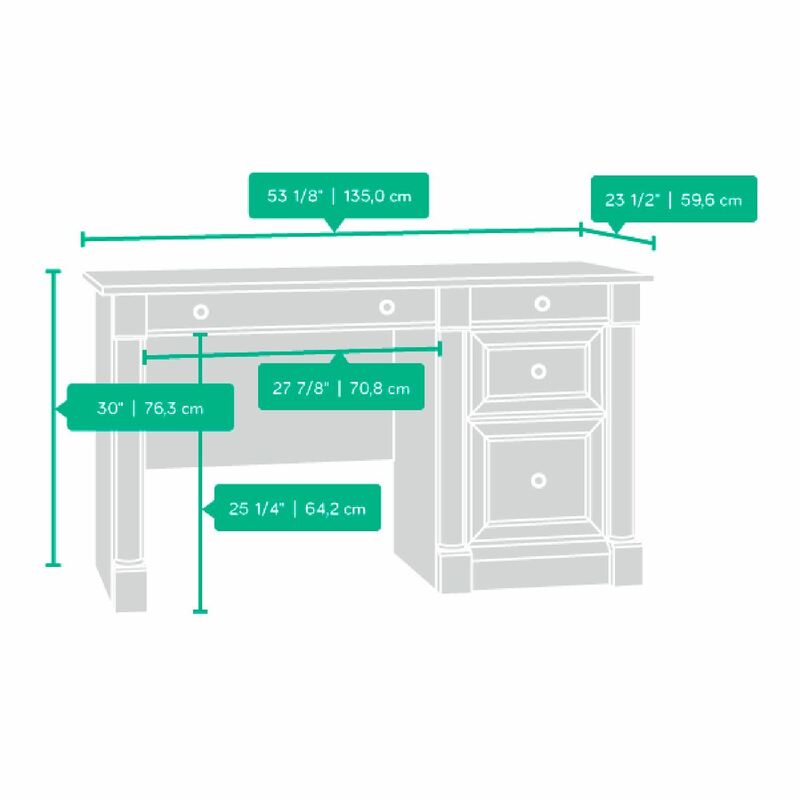 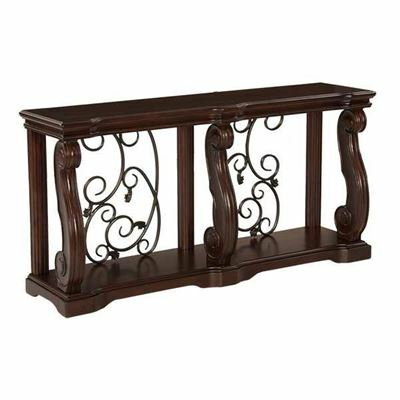 Large drawer/shelf features flip-down panel for keyboard/mouse. 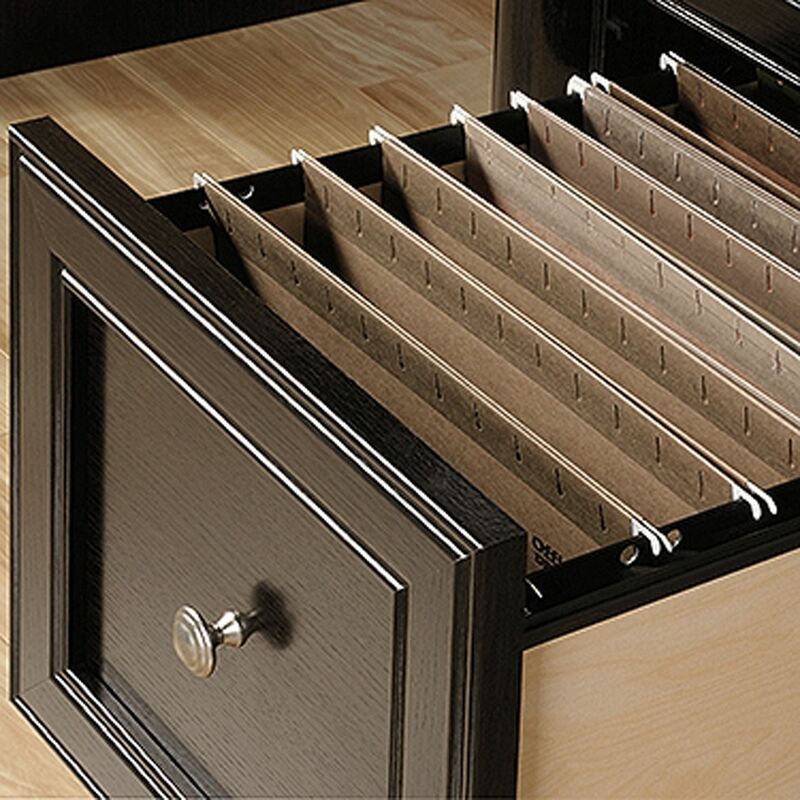 Lower drawer with full extension slides holds letter-size hanging files. 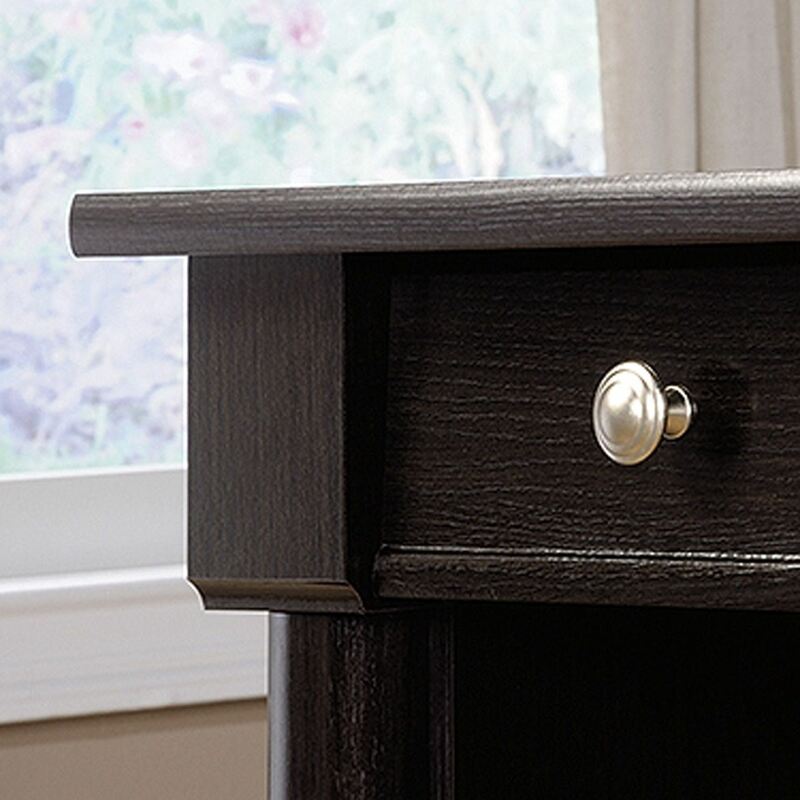 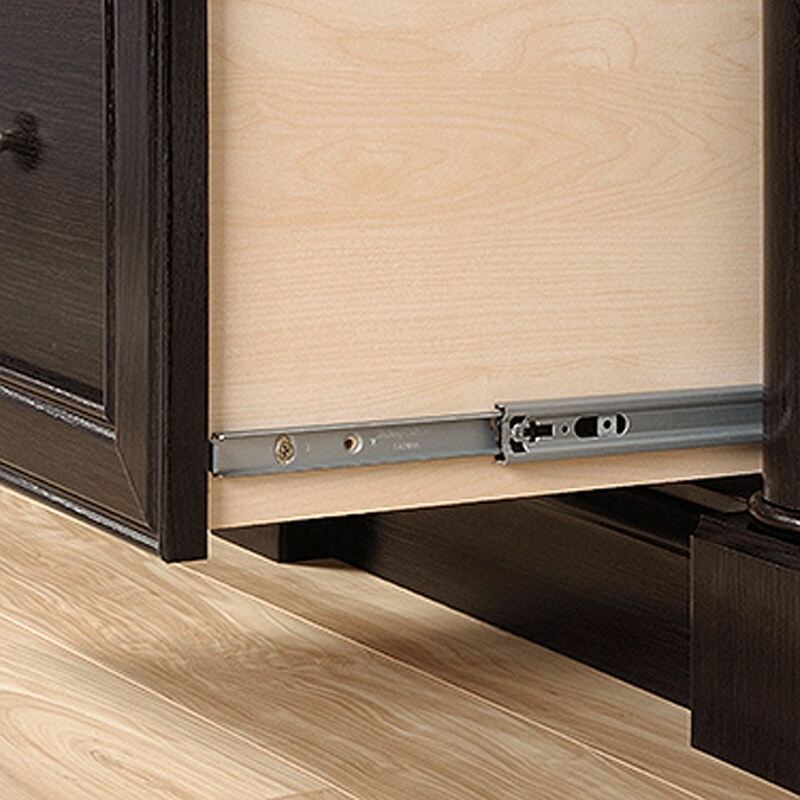 Quick and easy assembly with patented T-slot drawer system.